A special emphasis is given to the inclusion of Civil Society (individuals, social groups, etc with particular attention to the "most vulnerables") in the institutional policy making process and to the multi-stakeholders approach, which are fundamental aspects of effective Local Authorities and Govenrments policy-making actions. In this general context, the Province of Potenza offers its very wide experience in policy making and implementation and in the coordination/participation to transnational partnership (lot of activities have been performed as a Partner or a Lead Partner of various EU co-funded projects) for developing wide and(or thematic projects on the above metioned wider territorial issues. 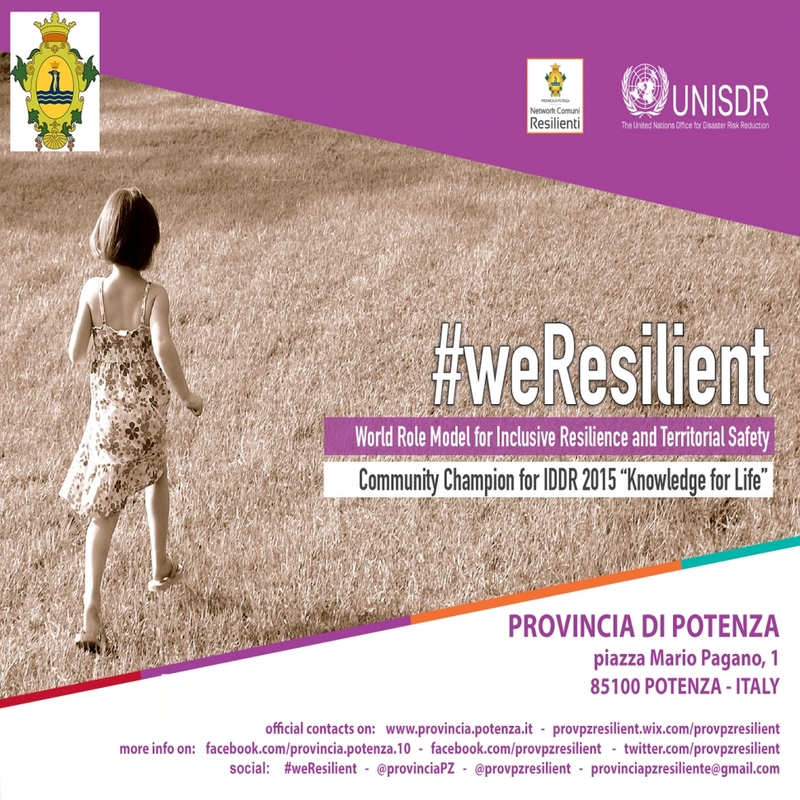 The Province of Potenza is fully engaged in the United Nations system, which is actively cooperating with. Please, feel free to contact us for specific projects and partnership. We will be proud to work with you and starting new transversal cooperation.